Nickell Robey was seen rockin’ a stylish, sport coat with a checkered purple and black shirt underneath. He was also wearing a black tie and black dress pants to math! A perfect outfit for the first game of the regular season! BENRUS, LLC was founded as a watch company in 1921. For over four decades, it manufactured legendary timepieces for the U.S. military. Giovanni Feroce, internationally recognized as one of today’s most successful American CEO’s, is building BENRUS into a multi-billion dollar, military-inspired lifestyle brand. Mr. Feroce currently serves as CEO and Chairman of BENRUS, LLC. Wide Receiver Chris Hogan was seen wearing a stylish sport coat, blue jeans and grey Nikes. A perfect outfit for a preseason game! The official timepiece of the Bills, BENRUS is having a grand opening celebration in Rochester. If you’re in Rochester or coming out to Training Camp, stop by the new store. There will be contest giveaways, autograph signing with the Buffalo Bills, a DJ, ribbon cutting, and a complimentary gift to the first 25 guests. Buffalo Bills K Jordan Gay, S Corey Graham, WR Robert Woods and S Aaron Williams will be in attendance signing autographs. Check out benrus.com for more product information. 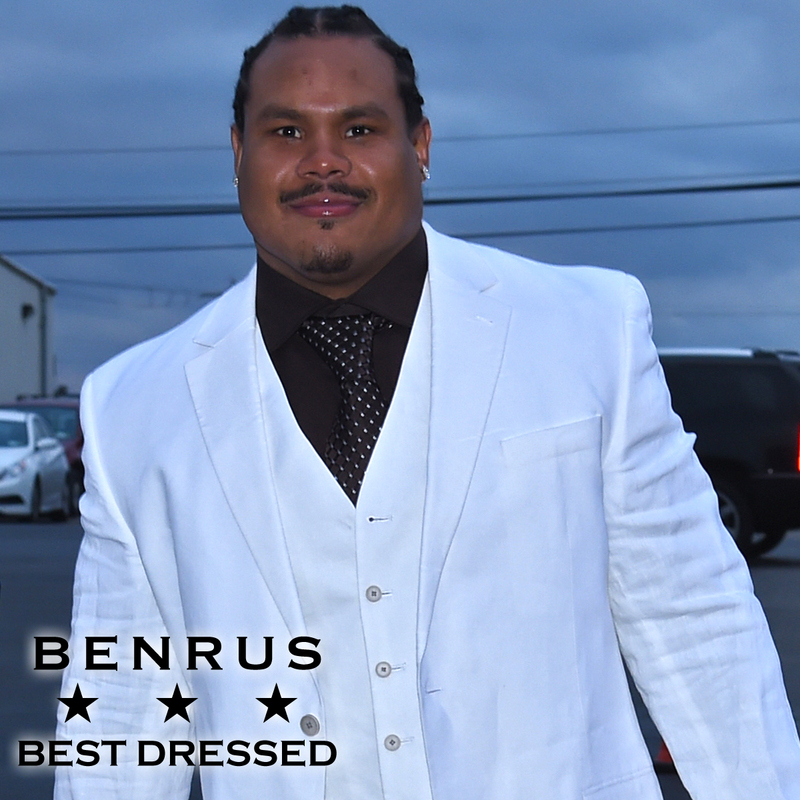 Welcome to the Western New York area, BENRUS! The new military inspired lifestyle brand just opened their first retail store in the USA right in our backyard. The Culver Road Armory in Rochester will be the home of upscale shopping experience with a nostalgic touch. 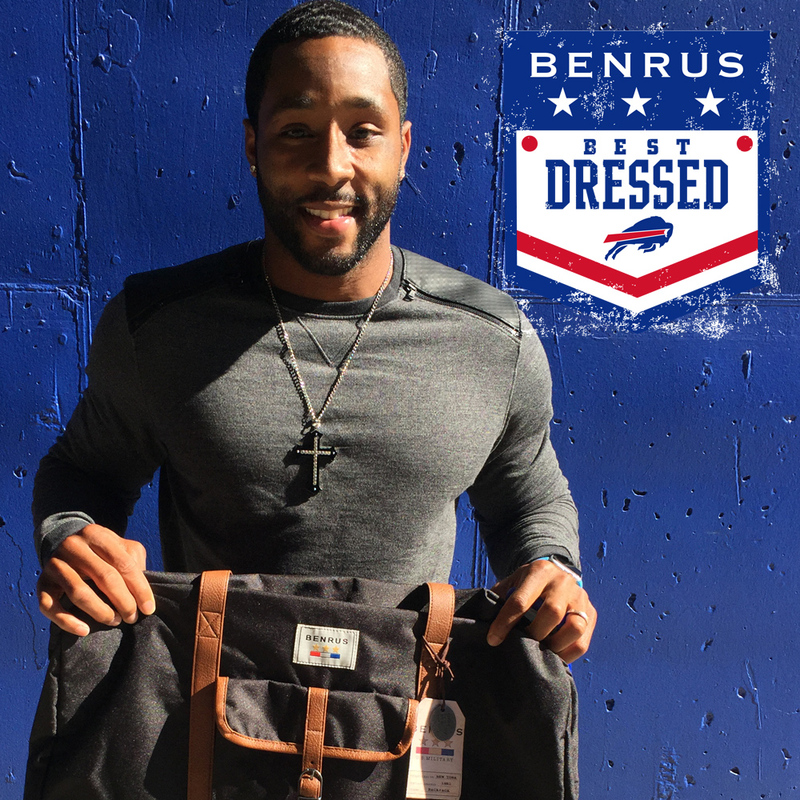 BENRUS is the Official Timepiece of the Buffalo Bills, presenting sponsor of the in-game solider recognition, Best Dressed series and coming in 2015, two large branded clocks at Ralph Wilson Stadium. For more about the partnership, click here. BENRUS, LLC was founded as a watch company in 1921. For over four decades, it manufactured legendary timepieces for the U.S. military. Giovanni Feroce, internationally recognized as one of today’s most successful American CEOs, is building BENRUS into a multi-billion dollar, military-inspired lifestyle brand. Mr. Feroce currently serves as CEO and Chairman of BENRUS, LLC. 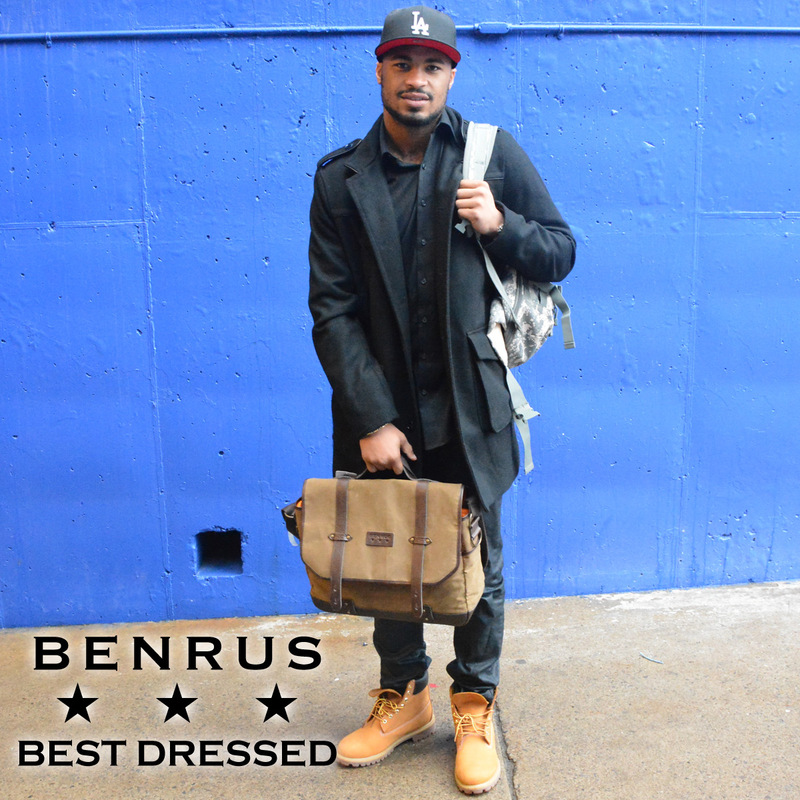 The BENRUS Best Dressed series presents one well-dressed player with a product from the military-inspired lifestyle brand. QB EJ Manuel won in week 12. 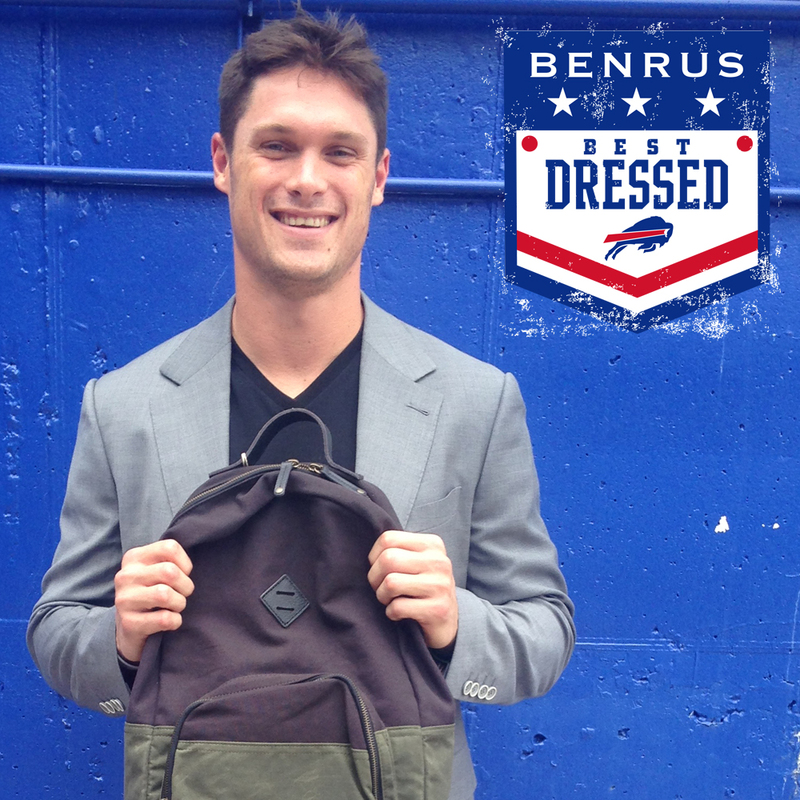 The BENRUS Best Dressed series presents one well-dressed player with a product from the military-inspired lifestyle brand. Fullback Frank Summers won in week 11. 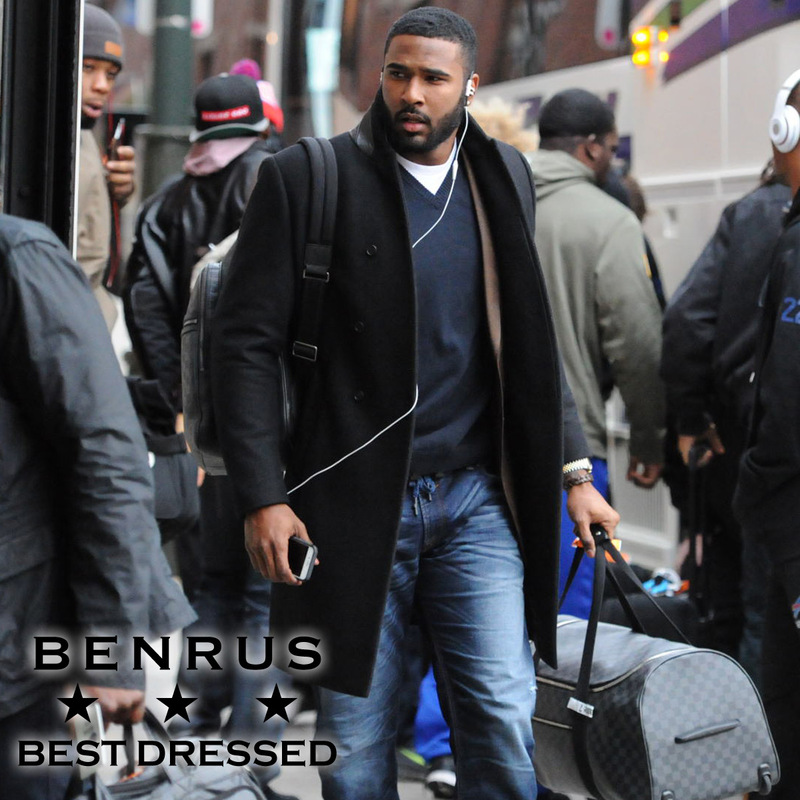 As the winner of BEST DRESSED, EJ Manuel received a BENRUS Sky Chief Watch. The Sky Chief, engineered in 1940, was worn by World War II Aviators and can be considered one of the greatest timepieces in history. Today, BENRUS acknowledges the significance of The Sky Chief and its ingenuity in a contemporary, modernized model available for purchase on benrus.com. 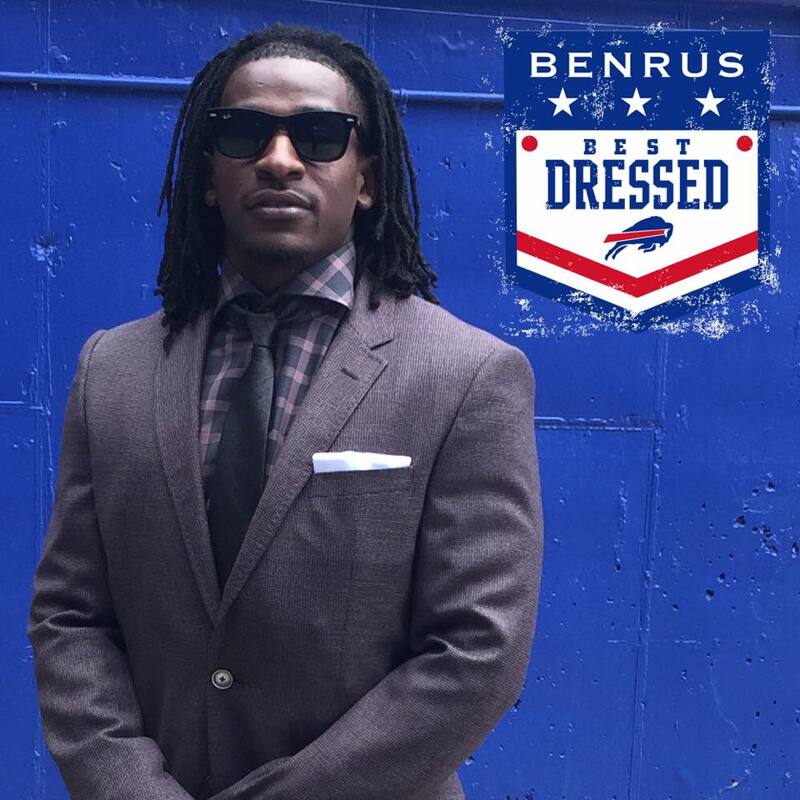 Introducing the Best Dressed series presented by BENRUS where one well-dressed player will receive a product from the military-inspired lifestyle brand. 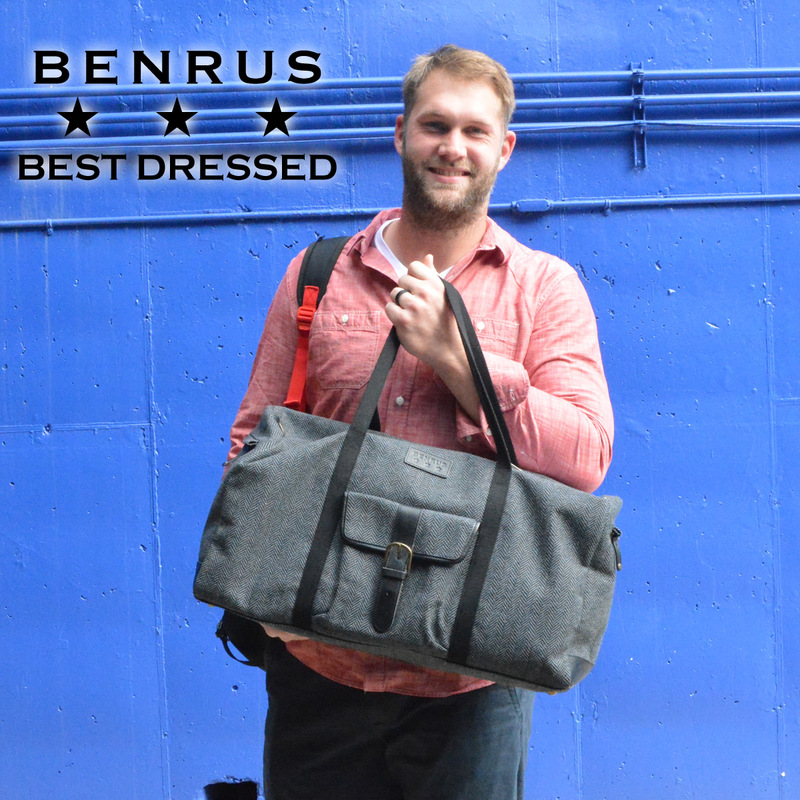 As the winner of BEST DRESSED, Scott Chandler will receive a BENRUS Quartermaster Duffle Bag, the perfect companion for a weekend getaway. 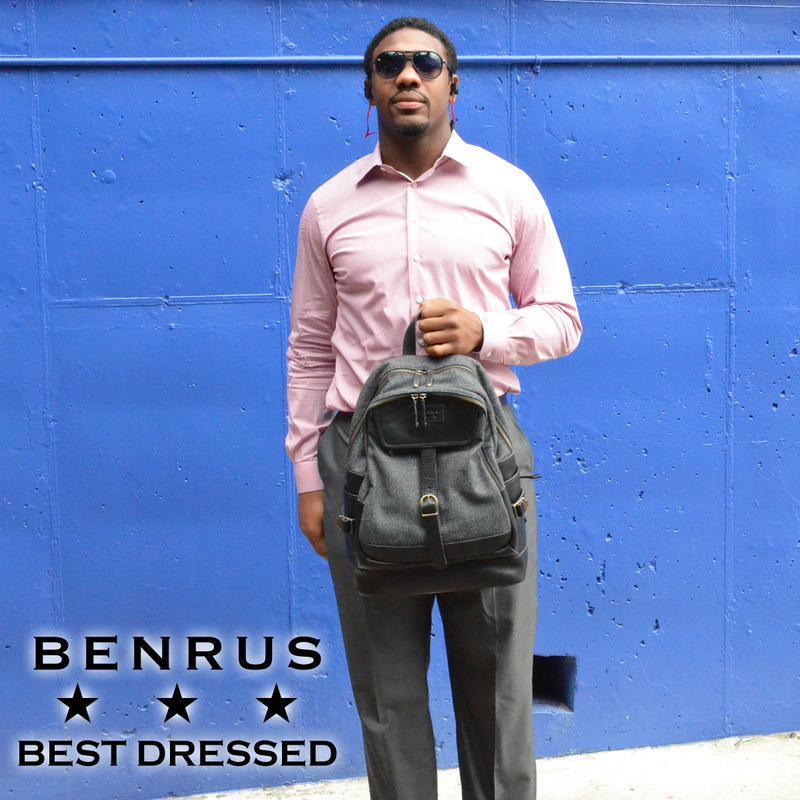 All BENRUS duffle bags and backpacks will be available for purchase starting November 18th on benrus.com.